NEW YORK -- Since retailers - even major ones - tend not to spend money on research and development, many need guidance to keep up with the changes technology is bringing to the industry. What need, according to IBM, is Innovation as a Service. Sure, IT and business leaders have heard of Software as a Service and Infrastructure as a Service. But Innovation as a Service? The concept underlies a partnership with technology companies looking to help retailers figure out what they need to connect brick-and-mortar stores with online sales -- and what technology can take them into the future of retail. Innovation as a Service goes beyond the simple use of technology: it's more about how to change businesses' thinking about how they'll sell products five, 10 or 15 years down the road. "Retail is an industry that doesn't have R&D budgets" said Stephen Laughlin, a vice president and general manager at IBM. "We're more reactive. Everywhere else, there's a line item about R&D. What will happen next? Brick and click are going to work together, but how are they going to work together? "It's an arms race," he said. "It's a never-ending effort. You have to keep advancing and investing to stay ahead of your competition." Retailers, whether they're niche stores or global powerhouses, will need help staying ahead, or at least even, with the technology changes that lie ahead. That's where IBM and rivals like Accenture and Capgemini Worldwide hope to make a mark. "Because of all of these challenges in retail, we're starting to see this appetite for rapid experimentation," said Laughlin. "Retailers are starting to see they need to be more agile -- more like a startup. Innovation as a Service gives them a small team helping them put in place that whole process of working with ideas and evaluating the technology." Laughlin is speaking this week at the National Retail Federation's Big Show conference in New York. IBM said it already has Innovation-as-a-Service customers, but declined to specify who they are or how many customers they have. "This is brand new [for retail]. It started for us in banking," said Laughlin. "We've got creative and strategy people. We can participate in ideation or they might have the ideas but they want a process to evaluate tech solutions, prototype them in warehouses or prototype them online. It just depends on who they're working with and what they want to do." Greg Girard, an analyst with IDC, said the idea of turning to a company like IBM to help a business determine technology needs isn't a new concept. The issue now is that retailers are realizing how much work is ahead and how much help they might need. Many industries have sought innovation partners. Retailers have just done it far less. "The challenge will increase in complexity and urgency, and the ability to meet the challenge will be a greater risk factor for the retailer to grow and achieve customer satisfaction," said Girard. "To do that, they'll have to look outside more and more. Innovation is going to become more of a commodity." 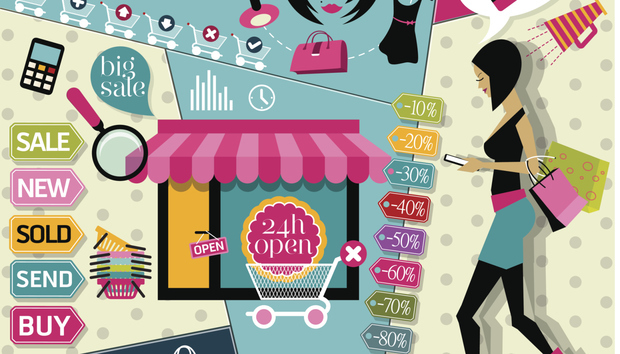 For many retailers, the rate of change is simply coming too fast. "We're moving to a world of big data and machine learning," said Girard. "It's fundamentally a different paradigm for forecasting sales. No retailer, except Amazon, today has the ability to flip its sales forecasting process to a machine learning approach. It's very complex.... That innovation has to be outsourced." Brian Kilcourse, an analyst with RSR Research LLC, noted that retailers will specifically need tech assistance because they've failed to see it as a differentiator until fairly recently. "Retailers have zero tolerance for failure," said Kilcourse. "That works against innovation in a big way. And they historically underinvest. I don't think they have any choice. If they want to survive, they have to innovate in the information technology space and they will have to go to who they believe does this best." He praised the move by IBM, which he called one of the great innovators of the last century. That allows it to take that experience and create new business by helping retailers. "You don't know what you don't know. If you want to learn to play jazz, you go to a jazz teacher," said Kilcourse. "I think retailers will have to do this. Think about it as this is an amazing time. An industry is transforming before our very eyes and it's all being driven by information and technology. "It's happening, baby, so why not play?"